Truffles are an elegant, delicious confection! 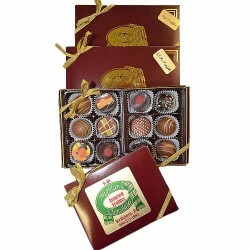 Our truffles feature a flavored creamy ganache filling surrounded by a crunchy chocolate shell and topped with beautiful designs. 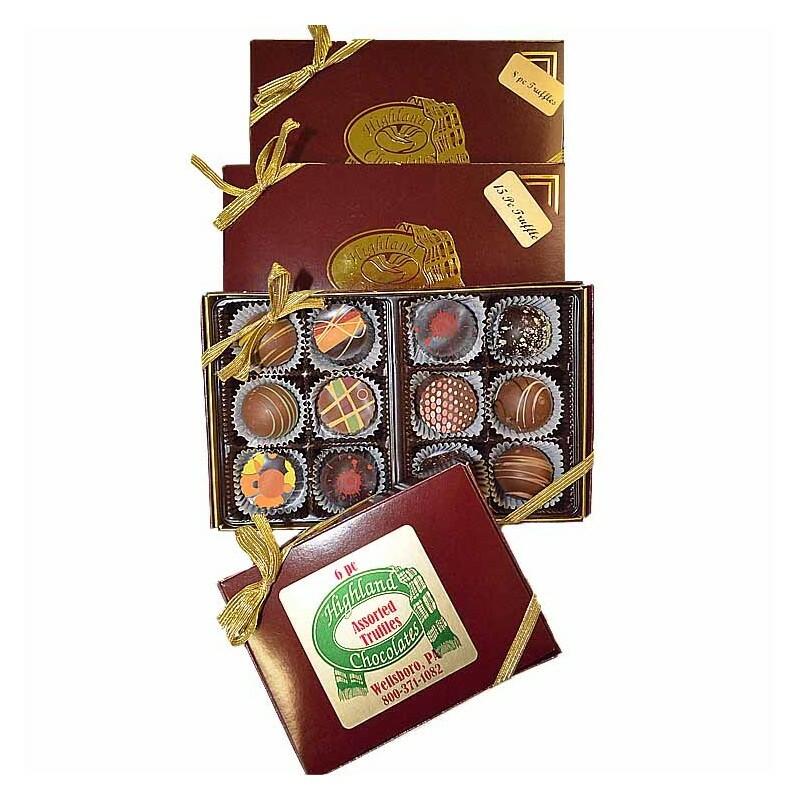 Flavors included in each box are: Chocolate, Raspberry, Orange, Mint, Coconut, Caramel, Amaretto, Butter Pecan, Champagne, Hazelnut and Irish Creme. Sold in 8 pc and 15 pc boxes.